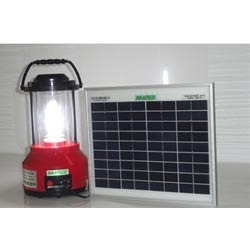 Solar Lanterns available with us are a stand-alone portable device that generate electricity and charge the battery with the exposure of sunlight. The offered Solar Lanterns are manufactured by making use of premium quality raw material in accordance with the well-defined quality parameters of the industry. Solar Lanterns offered by us are available in CFL and LED type.